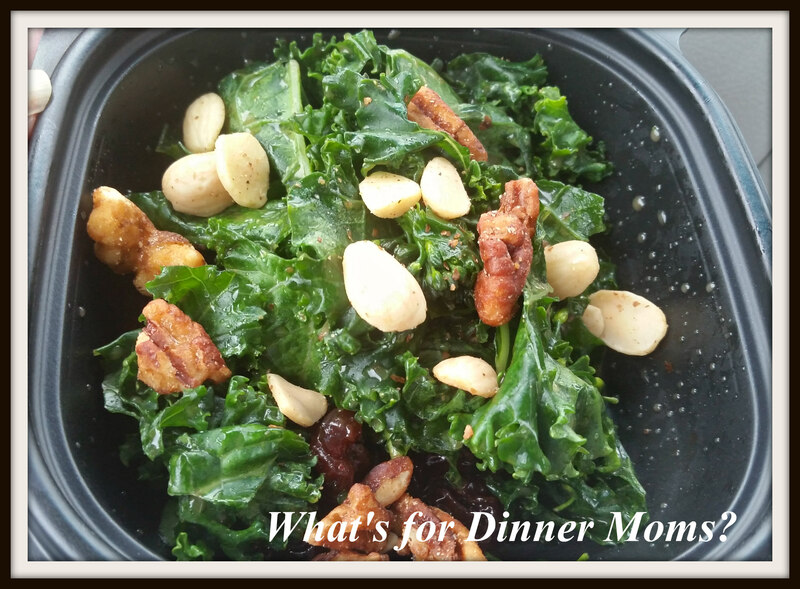 Eating While Traveling – What's for Dinner Moms? Even while traveling I still try to keep eating at drive thrus to a minimum. I try to keep it to about once a day if possible but some traveling days that just doesn’t work. The second day of our trip was the day of the Atlanta road/bridge collapse and we had to make a quick decision of changing our route. Instead of being a 12 hour drive we ended up with a slightly more than 14 hour drive. So, there was lots of food on that day that wasn’t exactly healthy or nutritious. We do pack nuts, beef jerky (which my kids have found they really like), granola bars, and the like but we need to keep driving sometimes and feeding my family is a necessity. Above is my favorite salad from Chick-fil-A. I actually eat raw kale and broccoli, willingly! I crave this salad. I know it is not the healthiest but it is so delicious! I add a side of grilled nuggets and I feel okay eating at a fast food restaurant. This is pure comfort food. We don’t have Captain D’s anywhere near us but we found a really great one and it was delicious! There was enough food for two of us and it actually was a good, comforting meal on a long day of driving. Some of our other favorites are the chicken salads from Wendy’s, grilled chicken sandwiches from most fast food places, and the Power Bowls with Chicken from Taco Bell. 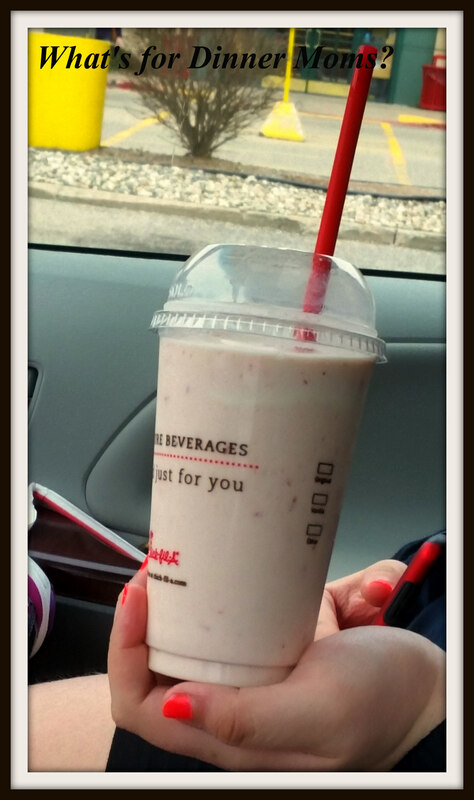 What are your favorite places to do a quick drive thru on the road? Very seldom to never stop at fast foods, I will allow the children pizza and salad on the road. I realize you travel FAR and must stop to feed the children! The choices seem good Marci. Looks good Marci! Stay safe on your trip! cole slaw from KFC is a good snack to hold me while I run errands. or chicken strips from Whataburger are brought home to cut up and lay over salad to make a fried chicken salad. Never had Whataburger. May have to find one! Thank you! I also try to keep fast food to a minimum even on long trips but, I agree, that sometimes it is unavoidable. I also like toasted chicken sandwiches and also toasted egg and bacon sandwiches. Yes! I love egg sandwiches! Wendy’s definitely. Their salads, especially the summer salad with grilled chicken, berries, and vinaigrette. Also their ever changing variety of grilled chicken sandwiches are a good too. However, when I am foregoing all thought of calories, I go to In-n-Out and order a double double with grilled onions, extra crispy fries and a strawberry shake….ahhh, so delicious. I love Wendy’s salads!! Mainly the apple-pecan chicken salad. It is so good. If I’m going to be bad, I’ll get a patty melt or cheeseburger from Whataburger. It’s a Texas staple! You’ll have to roadtrip to Texas, Oklahoma or Louisiana to find one! The way we had to go to avoid Atlanta I just may have to! We really like Wendy’s and Captain D’s. They finally put one of the latter in the next town over a few months ago. 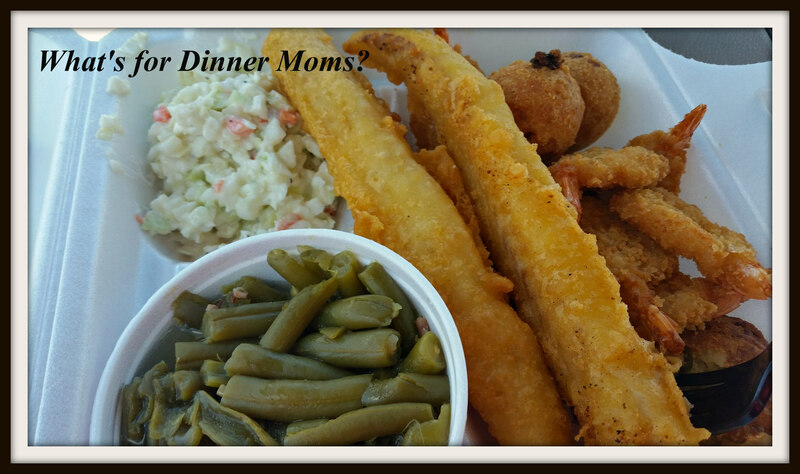 It’s my go-to fast food seafood place! I was surprised at the quality. I would go back. I just tried a Chick-fil-A grilled chicken sandwich two weeks ago. It was okay. I probably would have like the salad much better. The sandwich came fries…more like chips rather than fries, and pretty bland. I won’t get those again. Fries are a splurge for me, and it’s so disappointing when they’re not delicious. Fast food drive thru… Carl’s Jr. Their burgers are good, Jack-in-the-box for a breakfast Jack. The only thing I eat there. McDonald’s for salads, burgers, and fries, Wendy’s baked potato, and chili. I’d rather stop at a Subway or Togo’s deli for a sub sandwich to have on the road though. Not a drive through, but it can be quick just to get a sandwich to go. We also like subway and Jimmy John’s. Too bad about Chick-fil-A fries. They are one of our favorites. Fast food during road trips are the best! It’s such a fun & exciting treat. If I go to the States, i’ll go to any of the fast food places that we don’t have in Canada. One of my all time favs is White Castle! I haven’t been to White Castle since college! There are not very many left. I think I will need to find one. Thanks for ty he memory!